Hiverr is the first and the best Micro Jobs Marketplace script. Anyone having no technical knowledge even can now start a marketplace using Hiverr within a few hours. Hiverr support multiple priced gigs with facebook integration and video gigs. Compared to our competitors, we’ve always tried our best to enrich the script with innovation, quality and security. 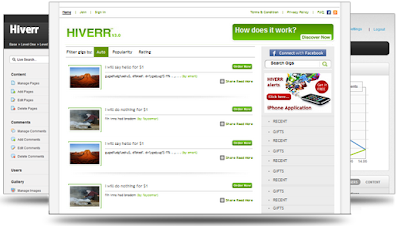 0 Response to "Hiverr v2.2 – high performance Fiverr Clone"